This recipe is modified from one we found on a box of graham crackers many years ago. 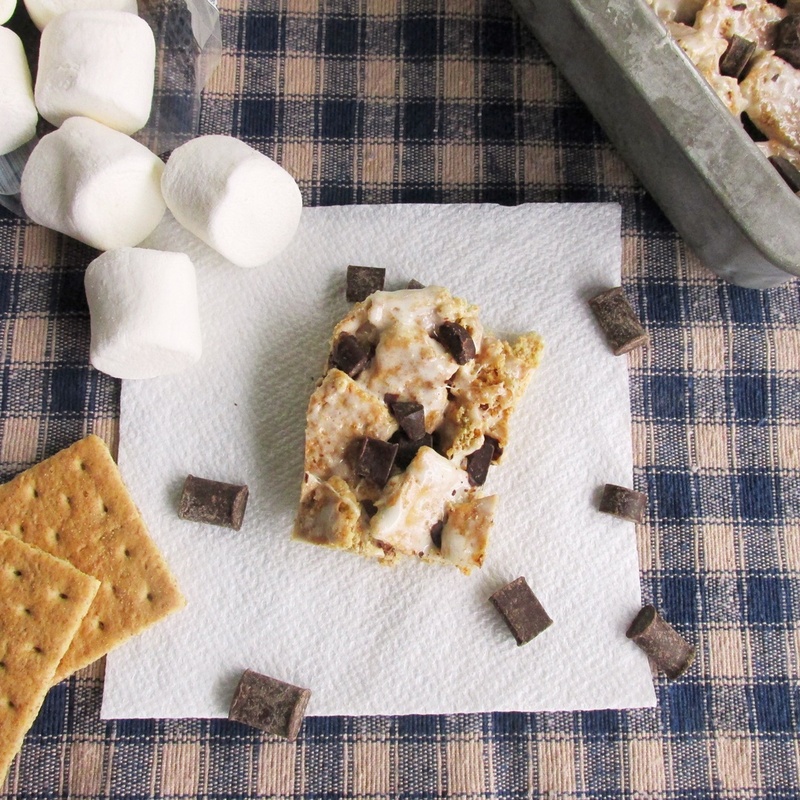 We think these taste a lot like crispy rice treats but with graham crackers! Break the graham crackers into bite-sized pieces. Melt the buttery spread or margarine in a large saucepan over medium-low heat. Stir in the broken graham crackers. Gently mix until the cracker pieces are evenly coated. Spread the mixture into a lightly greased 9 x 13-inch pan. Lightly press the chocolate into the graham cracker mixture with wet or greased hands. Cut into 16 bars using a sharp knife and serve.